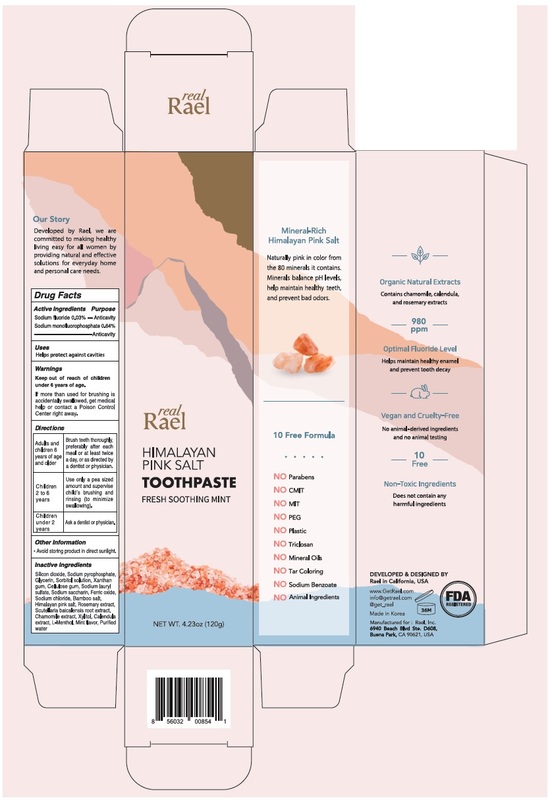 Proprietary Name: Himalayan Pink Salt Fresh Soothing Mint What is the Proprietary Name? 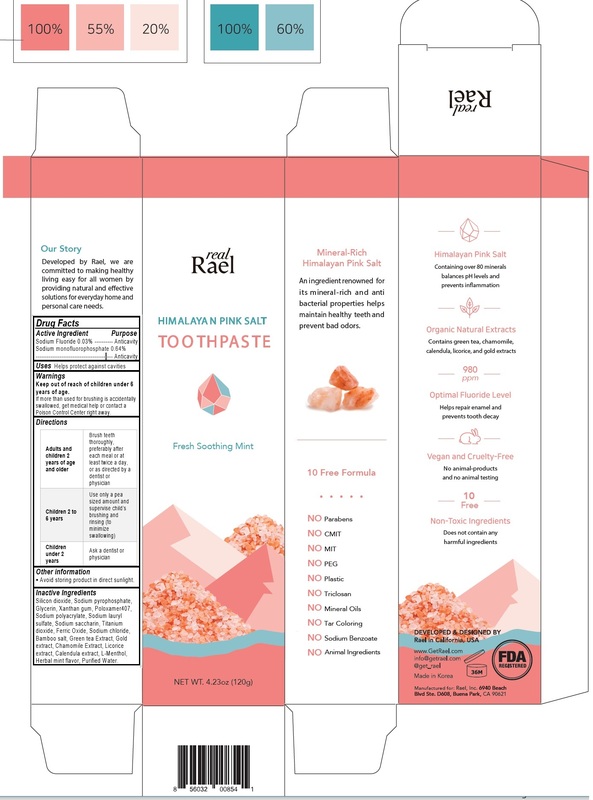 Himalayan Pink Salt Fresh Soothing Mint with NDC 72863-100 is a a human over the counter drug product labeled by Rael, Inc.. The generic name of Himalayan Pink Salt Fresh Soothing Mint is sodium fluoride, sodium monofluorophosphate. The product's dosage form is paste, dentifrice and is administered via dental form. Silicon dioxide, Sodium pyrophosphate, Glycerin, Sorbitol solution, Xanthan gum, Cellulose gum, Sodium lauryl sulfate, Sodium saccharin, Ferric oxide, Sodium chloride, Bamboo salt, Himalayan pink salt, Rosemary extract, Scutellaria baicalensis root extract, Chamomile extract, Xylitol, Calendula extract, L-Menthol, Mint flavor, purified water.